Our day started at 3:30am when the alarms from our phones sounded; I always hate getting up before the sun but Saturday, April 29th was different, it was Polish Con Day! I guess I should correct that and say, the alarm went off but I didn’t roll out of bed until 4am-ish…lol, because I’m not a morning person and needed 30 extra minutes to just lay there. We loaded up the car with my bags complete with bubble wrap…just in case, chargers, money, phones, business cards, all my watermarbling necessities, and of course snacks for the trip. We headed out at 4:45-ish to gas up and get coffee only to remember the ezPass was still in our van, so back to the house we went. Oh, did I mention that it was raining and we had a 4 hour trip from Frederick, Maryland to Brooklyn, NY and I refused to be late. I guess knowing me, Jason could sense I was getting nervous and quickly tried to calm me by asking polish related questions…that always does the trick. So there we were finally on the road, headed north on I-95. 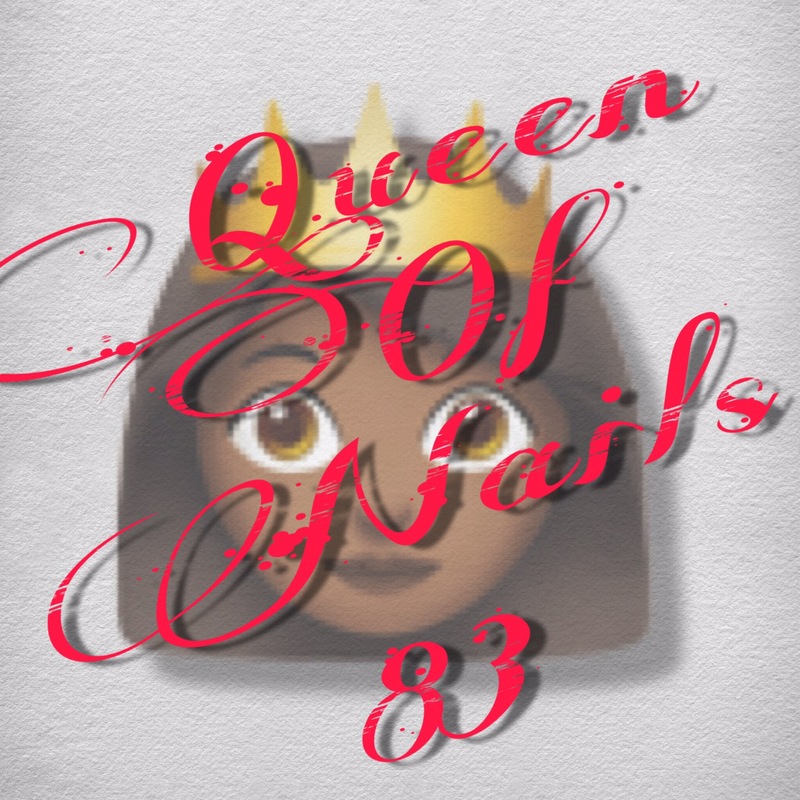 At this point I decided to do a quick live check in on my Queen of Nails 83 Facebook page. I was a ball of excitement, I mean literally a kid on Christmas Eve. I couldn’t believe that in a few short hours I was going to meet the makers that make all my dream come true and fill my heart with joy and my fellow swatchers/bloggers/vloggers that I have become friends with via IG and FB, finally I’d be able to put a face with a name. But I’m jumping ahead of myself. As the night turned to day, the clouds went away and the sun started shining big and bright, this is when I decided to check in again. Once we got there, around 9:30, we drove directly to the venue to scope out the place and check out the parking situation. We were lucky enough to secure a spot in the adjoining lot thanks to out new friend, Constantine, the lots’ attendant. He allowed us to come in and out all day and save our spot. Of course we had to pay the $20 fee, but it was worth it in the name of polish. By this time we were starving so, we drove a few blocks up to McDonalds to eat, rest and do a final pre-con live check in. About 10:30 we headed back to the venue to secure our spot in line and check out the who’s who as they started to arrive. Oh how quickly the line grew and the check in process started. YAY…we’re getting closer!!! The event staff started checking wrist bands and ids and handing out VIP bags, I could have just died right then and there but thank goodness I didn’t because that was only the beginning. I had heard in the Polish Con fan group to check the VIP bag for deals so that’s exactly what I did. The VIP bag included polishes, cuticle oils, files, coupons and discount codes for future purchases. There was even coupons for FREE polishes while at the event. While in line, I had the pleasure of spending time and getting to know Kristi from @BeginNails and Brianna from @NerdySuperBree. And did I mention, that Becky from @nakedwithoutpolish spotted us and stopped by to say a quick hello too. Had I known then that right behind me was Arlene aka @boatmate (in the Enchanted Polish shirt), I would’ve problably passed out. Don’t worry, I have more pictures coming. And yes, in the yellow dress is Miranda from Ever After Polish….eeek! I’m not gonna lie, the 90 minutes in line was a bit uncomfortable in the heat but I kept my eyes on the prize….the polish. Once they opened the doors at noon for VIP, the flood gates opened and we attacked hard. First, I think most of us were grateful for a air conditioning but then the beauty of the venue and seeing all the polishes and vendors made us forget the line. I for one, didn’t know where to start. I went in with a list and budget and I was determined the stick to it. Once my purchases were made, I decided to drop off my haul in the car, that was around 1:30. That’s right, an hour and half of polish shopping, with my hubby holding the bags and no kids yelling, “are you done yet?” I was in heaven!! On my way back in to get more pictures and meet more people, I decided to go live once more for a ‘during Con’ video. Around 3, it was time to host the watermarble table. First, let me just say, I filled out the application to host this table never thinking that I would get picked. There are so many talented people that can watermarble much better than I so I knew for sure it wouldn’t be me. Low and behold, I was selected. Even after Mariah of Great Lakes Lacquer informed me, I thought she was joking. But there I was setting up my table for watermarble tutorials and I must say, I had the time of my life. There was five 20 min sessions and the ladies that signed up were amazing…even the boyfriends were good sports! By 6, the table had finished and I was pooped. I concluded my fun filled day with a group picture of all the ladies that too hosted a tutorial table. These are an amazing bunch of talented ladies and I am honored to be amongst them. The rest of the night is a blur as I was literally in and out of sleep on the drive home. We stopped one time for food and bathroom break and finally got in around midnight. Good Morning y’all! I wanted to take a moment to answer a question I get asked all the time. Well the truth of the matter is, I don’t think they are long at all, I actually wish they would grow a little longer, but as long as they are healthy, strong and beautiful, then I’m a happy girl. When I first started doing my own nails, they were weak and brittle after many,many years of improper acrylic application and removal. Now, I’m not saying that acrylics are bad, I’m just recommending you find a technician that knows what they are doing and not cutting any corners. Anyway, when I finally soaked off the acrylic, my natural nails were in terrible shape and I never thought they would be naturally strong. That was until I found a base coat that worked for me. I began using OPI’s Nail Envy faithfully and it was the base to every mani. Over time I saw a tremendous improvement in the overall health and appearance of my nails. Recently, I started using Nail Tek 2 and I love what it has done for my nails. They are strong, but flexible, thick but not rittle. The free edge is clear of any translucent areas and there is no peeling or cracking. Of course, I do I get the occasional chip or break but that’s to be expected because…life. But I fret not because I know the secret to growing them long again in no time at all. So, here are the tips and treats I live by for long, strong, healthy, beautiful, natural nails. –Drink Plenty of Water. Whatever your current intake is now…double it!! -Take a hair, skin, nail (HSN), Biotin or multivitamin as instructed on product label. -Regular manicures. See my Manicure Must Haves for more details. -Don’t wear them naked for an extended period of time. For me, the meaning of naked is no mani/polish. Nail polish helps protect your nails from peeling, cracking, splitting, etc. Even in between your mani, always wear a base coat: ridge filler, strengthener, hardener, etc. -Apply cuticle oil and hand crème regularly. Find products that contain jojoba oil, vitamin E, A, coconut oil, avocado oil, olive oil or a combination of them. Apply at least 3-5 times a day. More if you was your hands often. -Don’t use them as tools. Need to open a can or box? Find someone or something else to help. DO NOT USE YOUR NAILS! -Wear gloves when possible. When washing dishes, the dog, the car, etc., where gloves to protect your nails from the water. I hopes this helps. What do you do to keep your nails healthy? Let me know in the comments below. 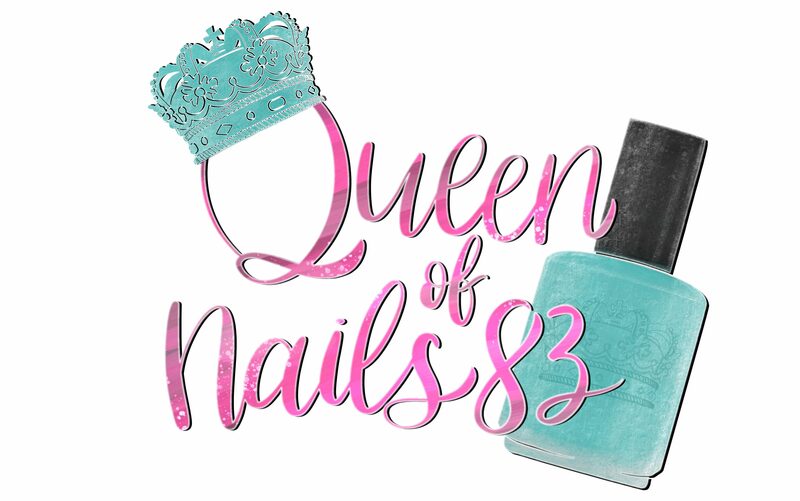 July 1, 2016 January 1, 2017 by queenofnails8323 Comments on BLOG LAUNCH GIVEAWAY!!! As I had mentioned in my previous blog, I have had the pleasure of working with some wonderful indie makers including Vioree Brandon from Divine Nail Lacquer, Meke Titi from Domani Color Artisan Nail Glaze, Symantha Onyechi from OOO Nail Lacquer, Chelsea McDonnel from Pretty and Polished and Sacha Junique from Jior Coutour. One thing these women have in common besides beautiful polish is they are great examples that women can do anything we put our minds too. These ladies show that we are capable, creative, intelligent, powerful, and independent, I could go on and on but I’m sure you get the picture. Even through their trials and tribulations I’m sure these women endure in their business, I’m also sure it’s also very rewarding. In this blog, I celebrate these women for reasons I stated above and because these are the women took a chance on little ole me. In this big sea of talented manicurists both professional and hobbyists alike, they allowed me the awesome opportunity to swatch their polishes. If you’re not familiar with what that is or what it means, let me break it down for you. Polish swatches are just like paint swatches you find in the store. When you’re ready to paint your living room or bathroom, you visit Home Depot, head to the paint section and find a vast array of paint swatches in a multitude of colors, shades, finishes and brands. After spending what seems like an eternity, you decide on the Log Cabin by Behr in a semi-gloss finish. Why? Because the swatch you looked at perfectly captured that color you wanted for your accent wall. The swatch is important because without it you could have gone home only to find you hated the color and it just wasn’t what you wanted. It’s the exact same concept with polish. Polish makers look for someone that can capture the polishes color/finish with clear pictures and good lighting that will be appealing to customers and hopefully lead to a sale. Makers use these photo swatches all over social media and their company websites as a marketing tool. It’s our ‘job’ as the swatcher to provide just that and it is a big responsibility. It’s a responsibility I don’t take lightly and I am truly honored, humbled and grateful for the opportunity they have afforded me. Since working with these companies and the ladies behind the polish, I have built relationships and they have given me all the more push and drive to pursue my own dreams.